Just like the human finger print the underside of a Humpback whales tail is unique to that animal. This gives us a wonderful way of identifying and tracking each animal. 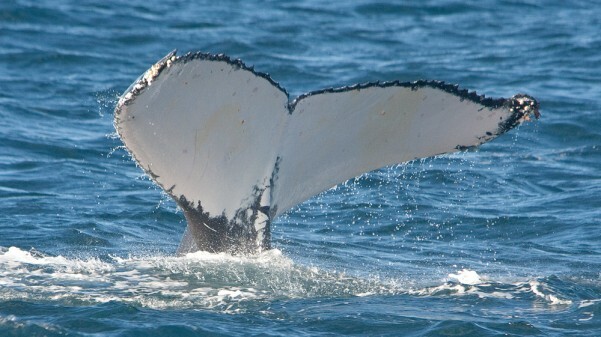 In 2007 IFAW (the International Fund for Animal Welfare) launched the Humpback Icon Project that encourages Australian coastal communities to celebrate the annual Humpback whale migration by ‘adopting’ and naming a whale as their local whale icon. The hope and aim in doing this is to bring Australian communities together and raise awareness of the threats still facing our whales and generate action to protect them. Here is a list of the communities and their whales. Information provided by IFAW June 2010.